These dip recipes are all perfect for your next party – easy and delicious! We LOVE a good dip recipe, don’t you?! Dips are some of our very party foods, especially during football season! There’s just something extra yummy about dipping into some creamy, tasty goodness while watching a game and hanging out with friends. And, not only are they so tasty, but I love that dip recipes are usually incredibly easy to make. So I decided to put together a list of some of our favorites. Pin this one for later, then click through to all the dip recipes that sound best to you! Yum! SO much deliciousness in those dips above! But, you can’t forget something sweet for your party though too! So we’ve included some dessert dips below that are also perfect for serving up for your next get-together. 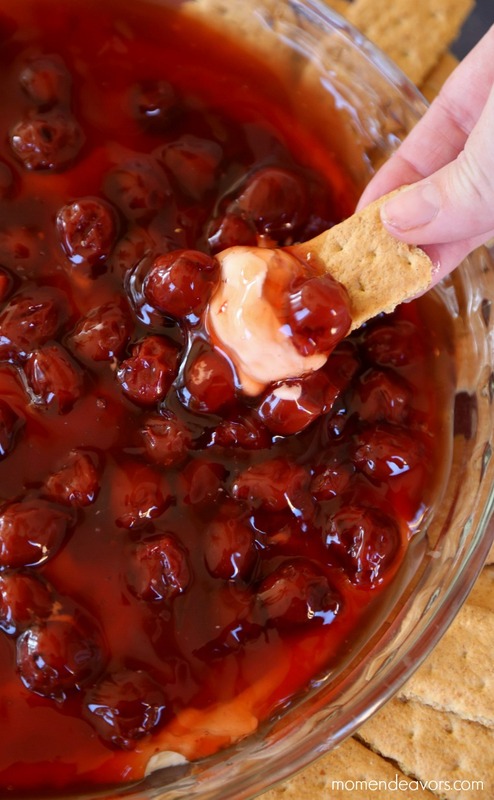 This cherry cheesecake dip is a BIG hit around here any time we serve it! SO yum! Don’t they all sound great?! Which dip do you want to try first? And if you love dips as much as we do, one fun idea (especially for football parties/tailgates) is to do a whole “dip bars”. 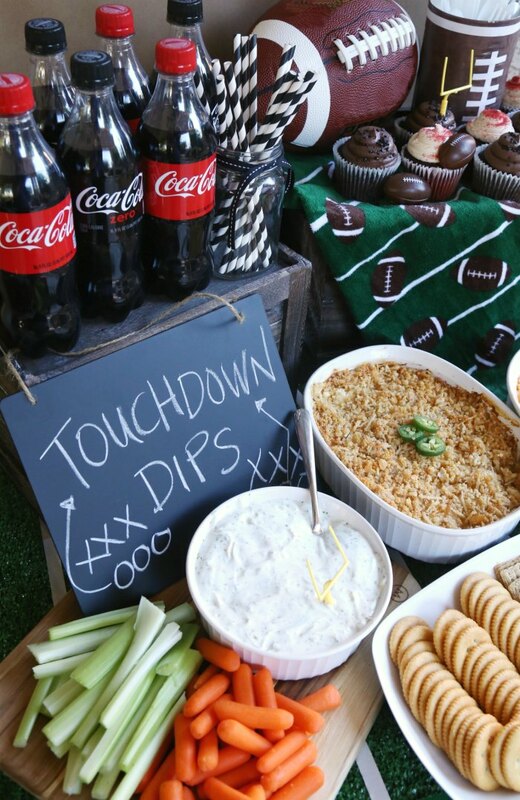 We called ours “Touchdown Dips” and created a whole little fun party spread to go with it! You could even do a dip party potluck where everyone brings a different dip to share!